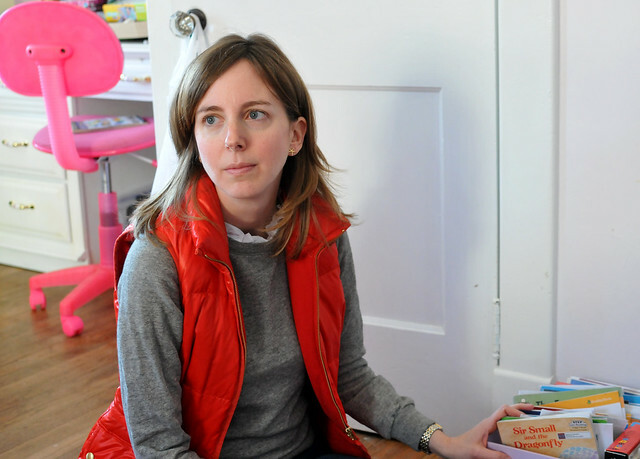 A few months ago, we introduced you to Melissa LaSalle, an Alexandria resident who writes the very thoughtful and informative blog What to Read to Your Kids. 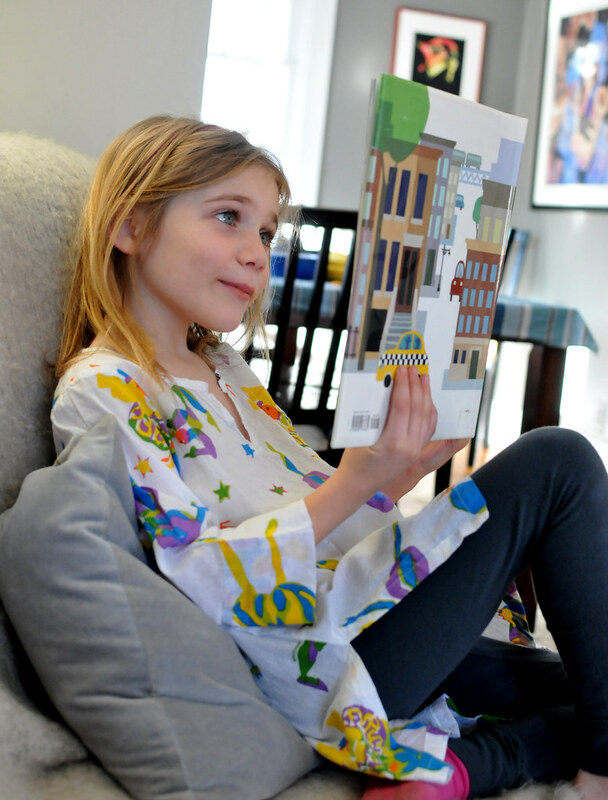 In addition to the blog, Melissa also provides in-home consultations as way to help parents decide what books are the best for their particular children — what is appropriate for their reading level, what will challenge them as they get older, and what will inspire their imagination and, hopefully, a life-long love of reading. I tagged along on one of her recent consultations with Mary and Chris and their 7-year-old daughter Alora. 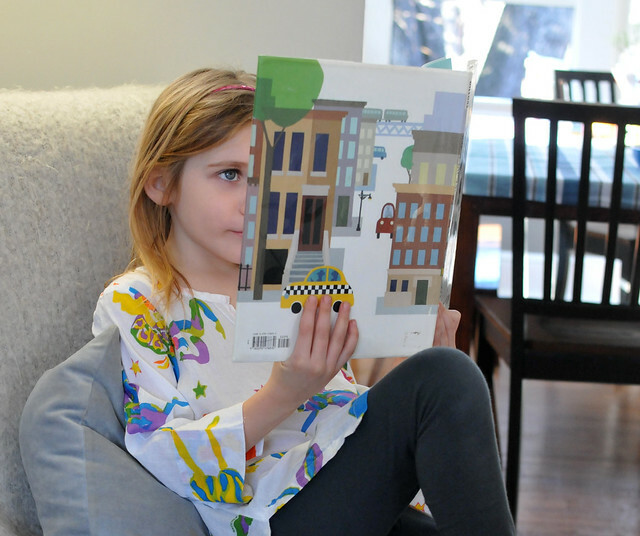 Before diving in to Alora’s collection of books, Melissa listened attentively as Alora told her what she’s currently reading and what other types of books she likes to read. 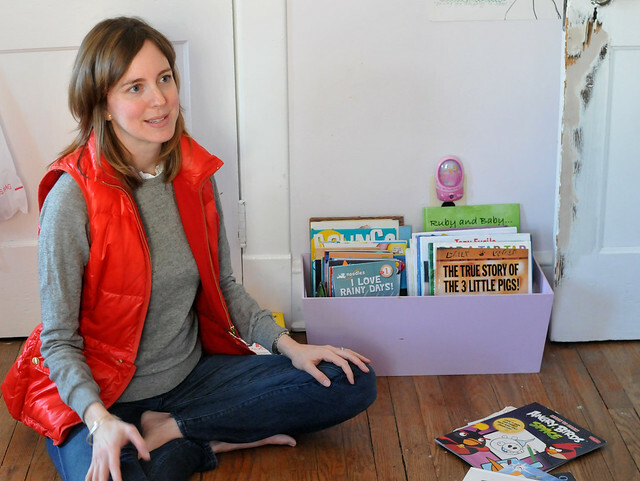 Just as you would do a deep clean of your closets and basement or attic every once in a while to figure out what you don’t need anymore, Melissa suggests doing the same with your kids’ books. She carefully sorted through each and every one of Alora’s books engaging Alora in the process of deciding what she wants to keep and what she has outgrown. She provided nurturing encouragement and thoughtful suggestions and made note of some of her favorite books and authors. For example, at Alora’s first grade level, Melissa says anything by Syd Hoff is a keeper. 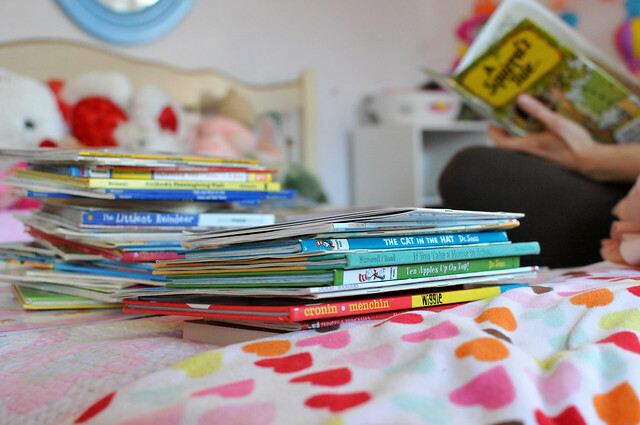 Piles started forming around the room with books Alora can read herself and picture books her parents can read to her. As well as the early readers Alora no longer needs. Until finally, some organization took shape and Melissa and Mary neatly arranged the “to-keep” books by size and type. 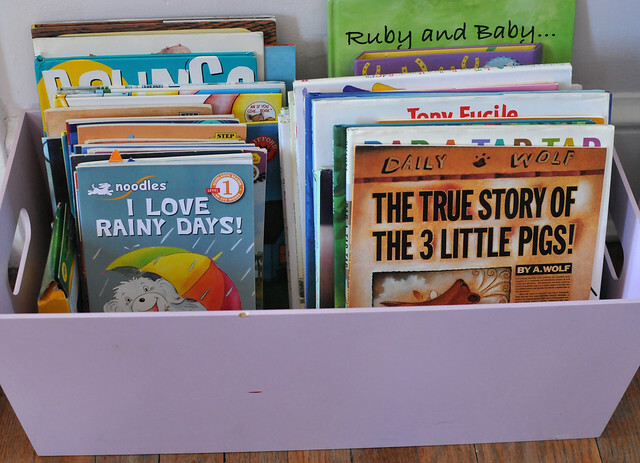 Melissa also shared some tips for encouraging your kids to read including making sure books are easily accessible — put a bin, basket or stack in every room of your house. 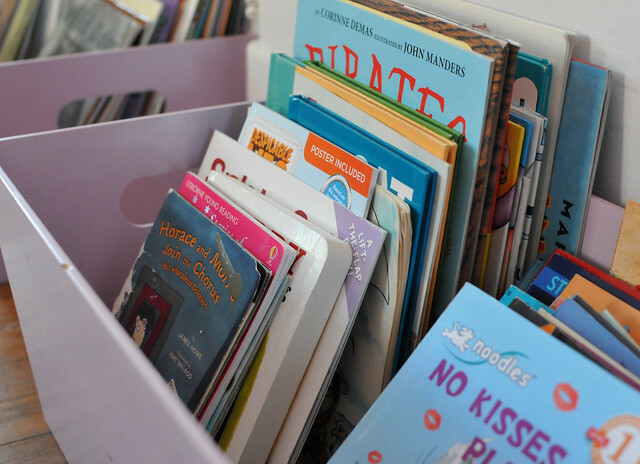 If books aren’t around, your kids will be less likely to open them when they are looking for something to do. 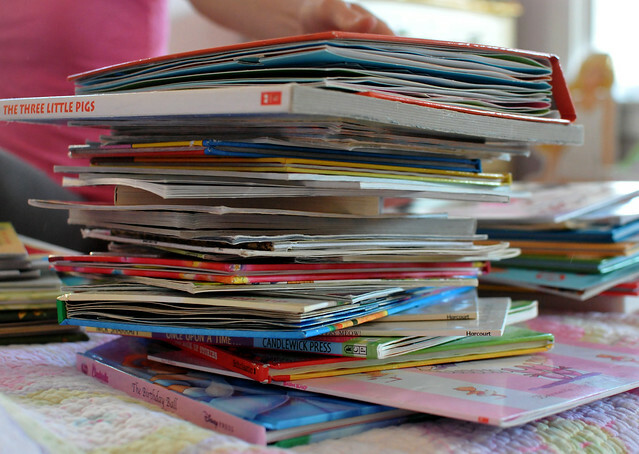 If you have a large collection, Melissa suggests rotating books every month or so so there’s always something “new” to interest your child. 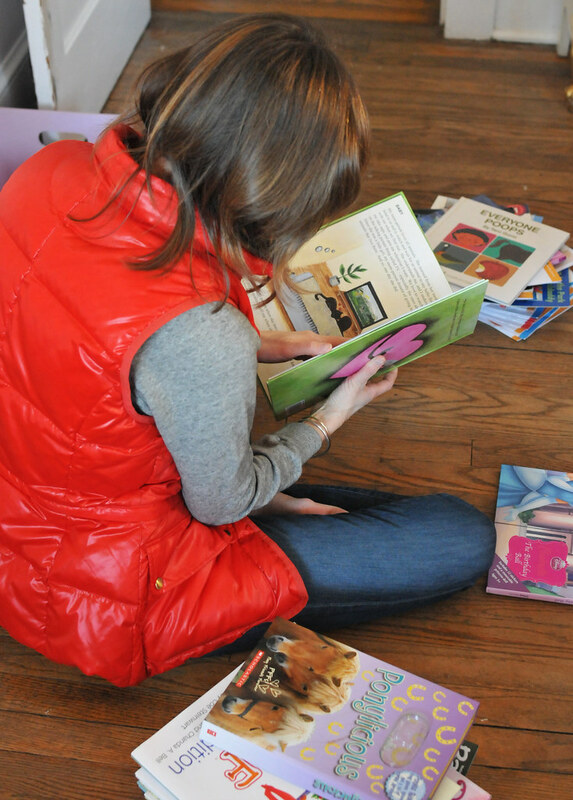 Before she left, Melissa also helped Mary decipher the Scholastic catalog for Alora’s school’s book fair. As a former bookstore employee, it was easy for Melissa to make recommendations on what is a quality book and what you might want to overlook. Though it’s good to have reading material of all types available, Melissa adds, making sure that books are well-written and inspiring will have long-term advantages. Happy books make happy kids. As a bystander, I definitely learned a lot and left with some tips to try with my own kids (some which have already proven successful!). If you’d like to arrange your own consultation with Melissa, send her an email or check out her blog. 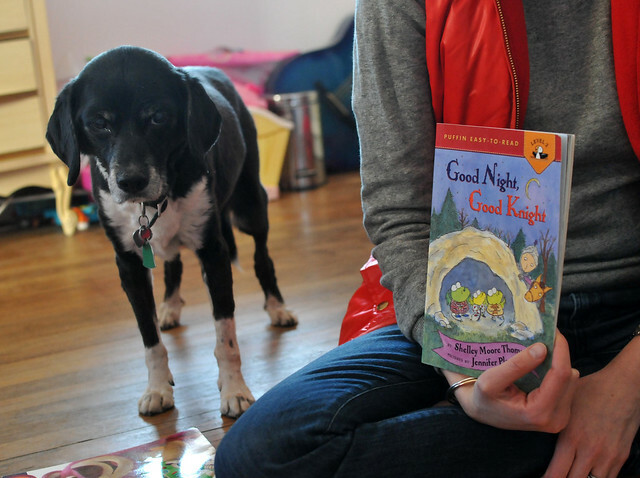 Do you have any favorite children’s books? 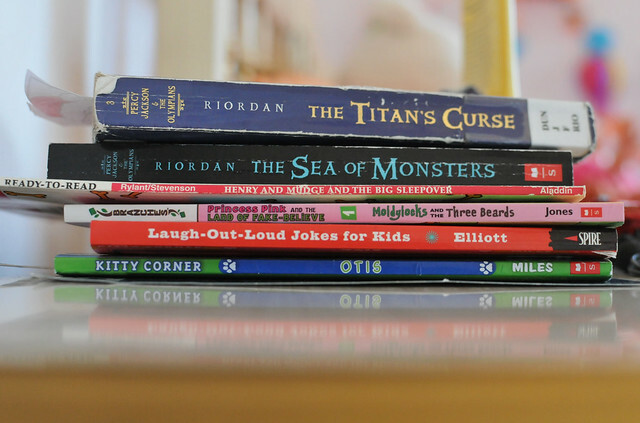 Any tips to share for getting your kids to enjoy reading? My sons were voracious readers with all the advantages: rich, advanced vocabulary and a strong writing ability, the ability to amuse themselves (no bored, snowy days or acting up in restaurants), superb academics, and best of all… a love of learning. 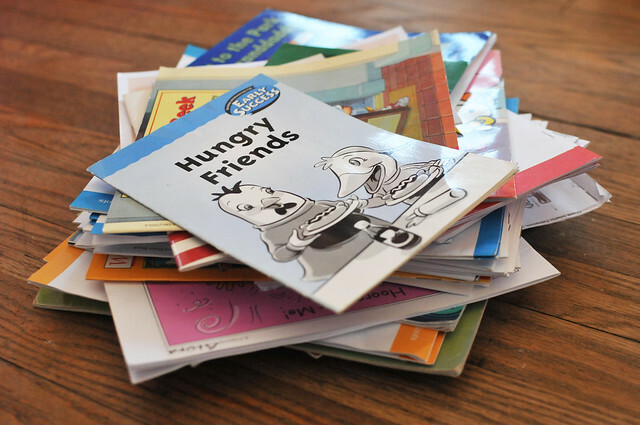 I began reading to them when they were still breastfeeding and continued even when they could read to themselves (e.g., adult books they loved, but were beyond what they might read to themselves). I read to them every night before bed, and that special snuggling time was dangled over them to get them ready for bed quickly. Making reading a desirable treat added to its value. 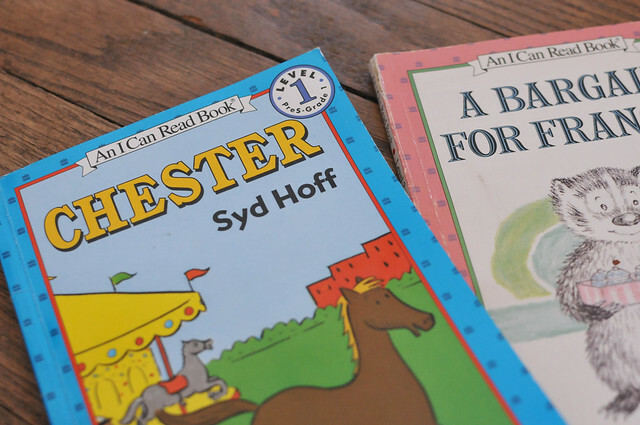 I sought out a book (“Babies Need Books”) that gave suggestions for various age levels… proven classics, and I asked the local bookstore (then “A Likely Story”) staff for suggestions as they grew. (“They liked these books; what other books might they like?) I knew the best children’s book authors and also borrowed their books from the library. They have become lifetime readers (now almost 30 and 35). A bit of time and focus on the parents’ part… and reading to them every night… you won’t be sorry! By the way, any books you cull from your house would be shared and much appreciated by neighbors if you drop them off at The Little Free Library of Windsor and Dewitt! Wonderful advice, Renee. Thanks for sharing! We’ll definitely drop off unwanted books at the LFL!